If you have reason to believe that a child may be abused, neglected or dependent, please call WCCSB at (330) 345-5340, during business hours 8:00 a.m. to 4:30 p.m., Monday through Friday (excluding holidays). Reports can be made anonymously to WCCSB. However, our office appreciates those who are willing to step forward and speak out against child maltreatment. IF A CHILD IS IN IMMINENT DANGER, CALL LAW ENFORCEMENT IMMEDIATELY BY DIALING 9-1-1. The Wayne County Prosecutor’s Office Juvenile Division represents the Wayne County Children Services Board (“WCCSB”) on cases of child abuse, neglect and dependency. 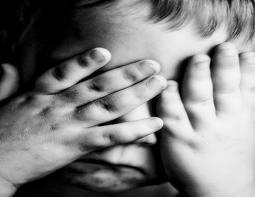 While what constitutes child abuse or neglect of a child may be somewhat self-evident to the general public, what constitutes a dependent child may not be. A dependent child can be loosely defined as a child in any situation in which the circumstances of the child’s home warrant state involvement. The abuse, dependency & neglect prosecutor of the Juvenile Division advises WCCSB daily on all legal matters related to child welfare with the goal to protect the safety and well-being of Wayne County’s children who are at risk. WCCSB investigates reports of alleged child abuse, neglect and dependency received from various sources, such as law enforcement, educators, and concerned citizens. Typically, WCCSB attempts to first assist a family without court involvement. However, if the family is unwilling to work voluntarily, or if there is an immediate threat of harm to a child, WCCSB will make a referral to the Juvenile Division for review. The Juvenile Division screens referrals to determine if the evidence if sufficient to support a court finding that the child is abused, neglected or dependent. If warranted, the abuse, neglect and dependency prosecutor files a complaint in the Wayne County Juvenile Court seeking court intervention with the family. A hearing is held on the complaint during which time parents have the opportunity to contest the allegations made by WCCSB. Parents have a constitutional right to the care and custody of their children and have the right to an attorney during these matters. At all times, the court’s primary focus is to ensure the best interest of the children. If the court finds that the complaint is supported by sufficient evidence, it issues dispositional orders. These orders will include a case plan that is designed to remedy the conditions that placed the children at risk. Depending upon the circumstances, the court may order the children removed from the home for their safety, or may allow the children to remain in the home subject to supervision by WCCSB. If a child must be placed outside of the home, the court and WCCSB make every effort to place the child in the least restrictive setting possible. This can include temporary placement with a relative, foster family, or if necessary, a treatment facility that can meet the child’s unique needs, if any. By law, these kinds of cases are intended to terminate within one year after the initial filing of the complaint. If necessary, the cases can be extended up to two years. Periodic hearings are held by the court to review progress on case plan goals. In cases where the children have been removed from the home and cannot safely be reunified with their parents, our office helps WCCSB to achieve other permanent homes for these children. These options include legal custody to a relative, long term foster care, or termination of parental rights for the purpose of adoption. In 2011, the number of referrals made to WCCSB reporting allegations of alleged child abuse, neglect and dependency vastly increased. The agency investigated over 1,211 complaints of child abuse and neglect resulting in an influx of children placed outside of their homes. Notably, the agency has seen a large increase in the number of neglect concerns and parents struggling with drug addiction. The average number of children in care through 2009-2010 was 96-104 children. Through 2011, and during the first nine months of 2012, that number has increased to an average of 120 children in custody. As of October 9, 2012, there were 178 Wayne County Children placed outside of their homes. In 2012, the number of children placed outside their homes has nearly doubled during the same period of time in 2011.